A contemporary interpretation of a traditional Shaker design, the Eastward Bench speaks to the beauty of minimalism: everything in its form is essential – leaving only what’s functional to engender its beauty. The bench provides comfortable seating for up to three adults. Held in tension between the angular sculpted seat and crest, the round ash spindles provide a pleasing contrast and flexible give for supreme back support. 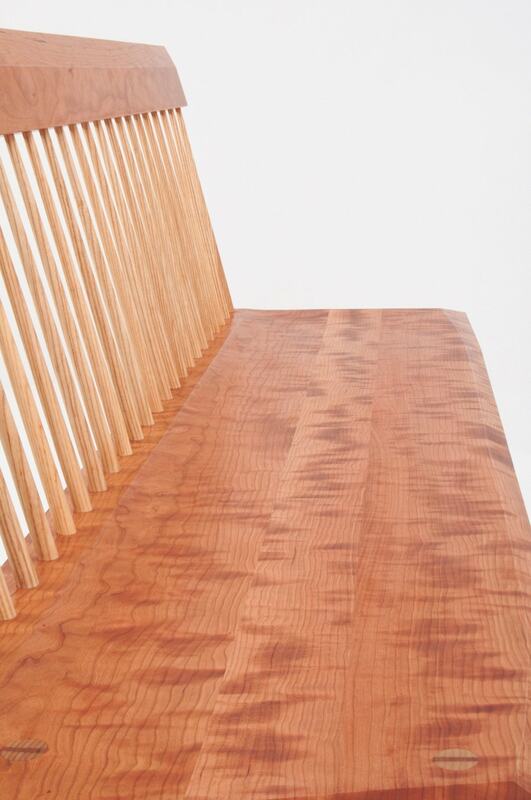 The Eastward Bench is Moser in its aesthetic: it makes no concession to unnecessary ornamentation. 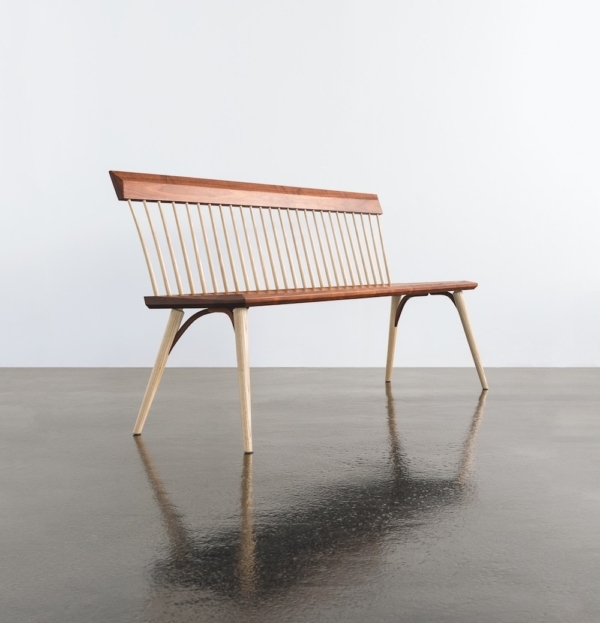 Crafted with four tapered, hand-turned legs in ash, the bench incorporates four hardwood hips that eliminate the need for spreaders – leaving an open, airy and uncluttered stance. 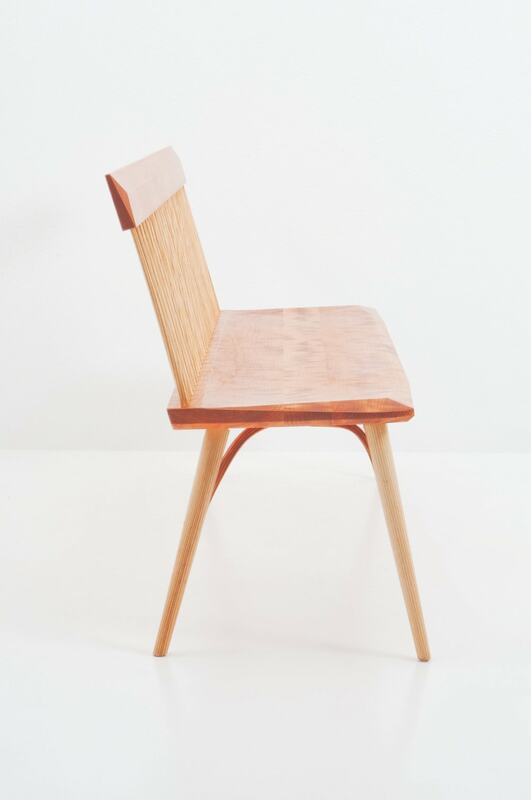 The seat and back are crafted from grain matched boards in cherry or walnut, both hand finished to display the dense, distinctive grain of the wood. The seat’s rounded edges form a lovely contrast to its uninterrupted horizontal plane. The crest of the chair is connected to the seat through the use of tensioned ash spindles. The ash is thoughtfully selected for its ability to give without any compromise to its structural integrity, allowing for greater comfort for the bench’s occupants, while providing lasting durability. Ideal for a dining room or kitchen, the Eastward Bench pairs admirably with our Eastward Chairs. Whether for dining or relaxing, the bench will serve many generations without compromise.